I was hosting the family for Sunday dinner and wanted to make a dessert to share. 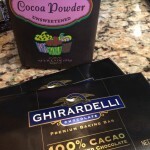 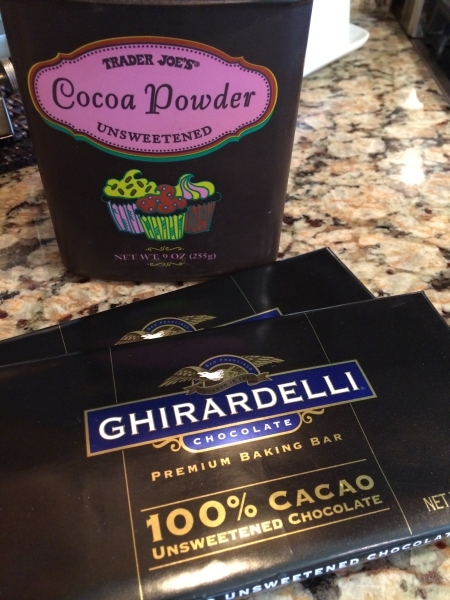 Bill and I have gone back to gluten free since our long vacation for the most part and I love chocolate! This cake is super easy to make and just exquisite to the palate! I looked at several recipes for flourless cake and made this one based on the ingredients that I had on hand. 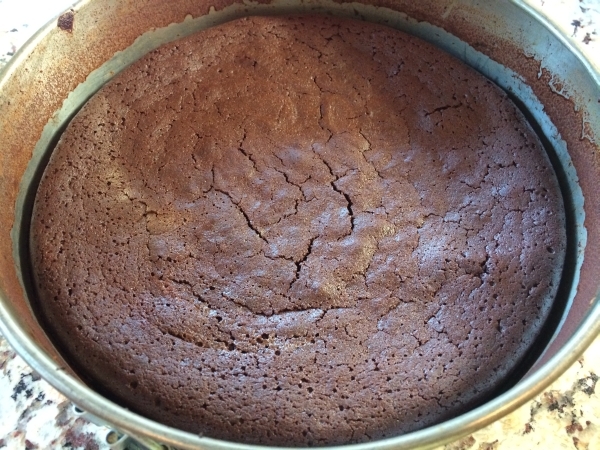 I do know you could use olive oil rather than butter, but either way, the rich cake goes a long way and a small piece is just sufficient to satisfy everyone’s taste buds. 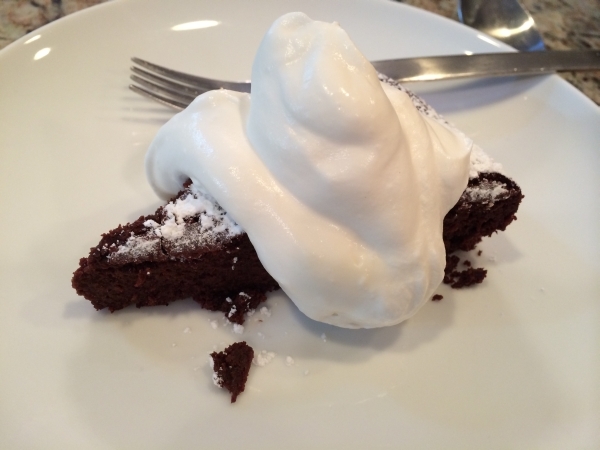 If you haven’t ever had flourless chocolate cake, don’t knock it until you try it. 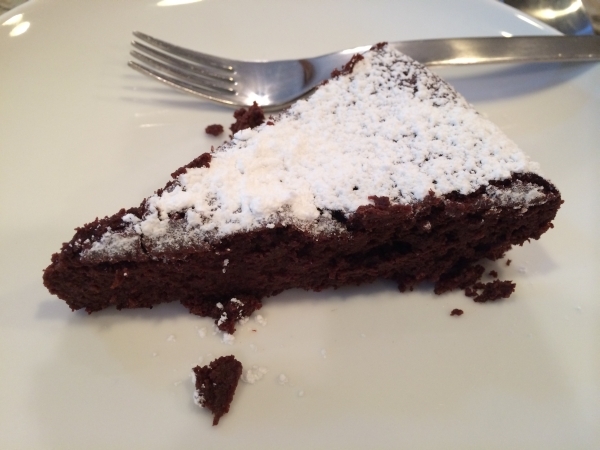 Everyone enjoyed it at our dinner gathering in spite that it was a “gluten free” option. It is a type of cake made from an aerated chocolate custard. 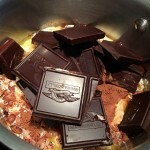 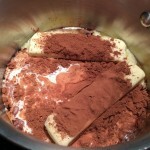 You prepare it with egg foam, using low heat from the melted chocolate to stabilize the protein matrix and then bake it. 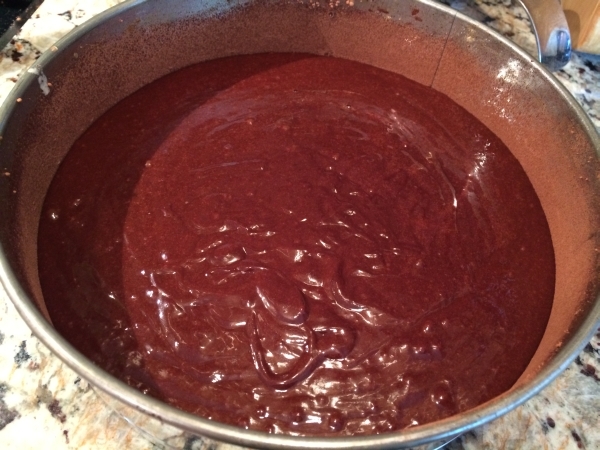 While traditionally considered a restaurant-style dessert, flourless chocolate cake has become popular for gluten-free diets, hence my reason for making it! 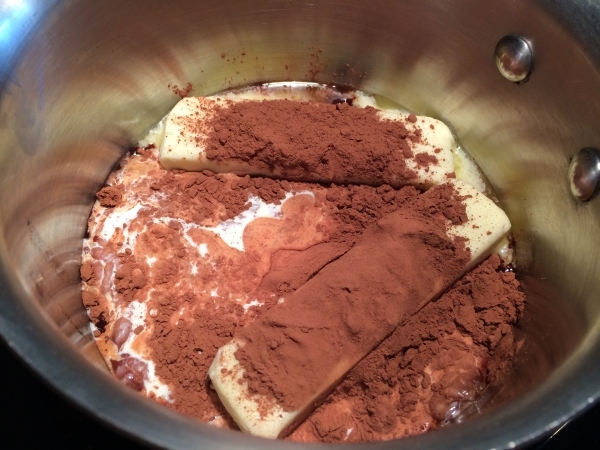 Stir frequently until everything is blended and smooth. 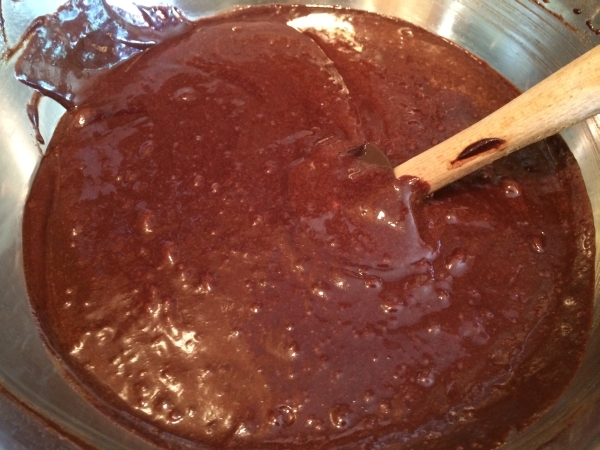 Meanwhile, preheat the oven to 350 degrees and prepare a spring form pan with nonstick cooking spray and coat with powdered, unsweetened cocoa. 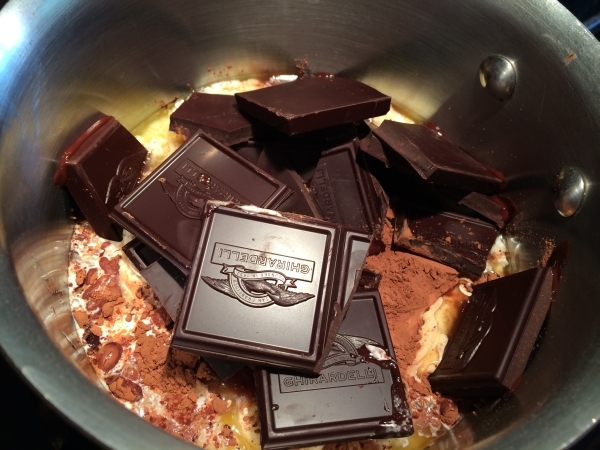 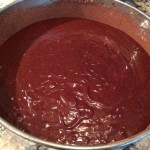 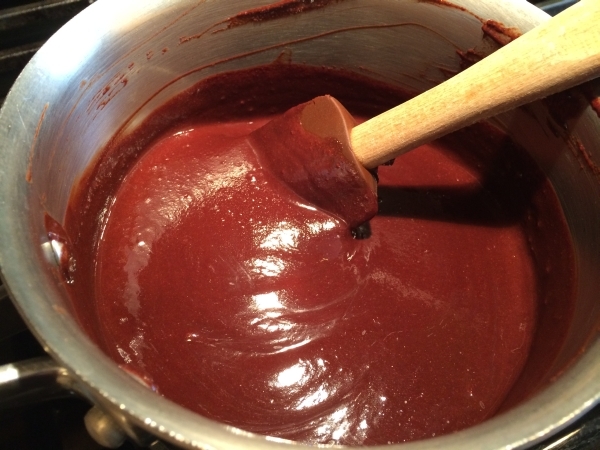 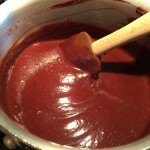 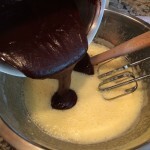 Beat the eggs until frothy with sugar and then combine with melted cocoa mixture, mixing constantly on low. 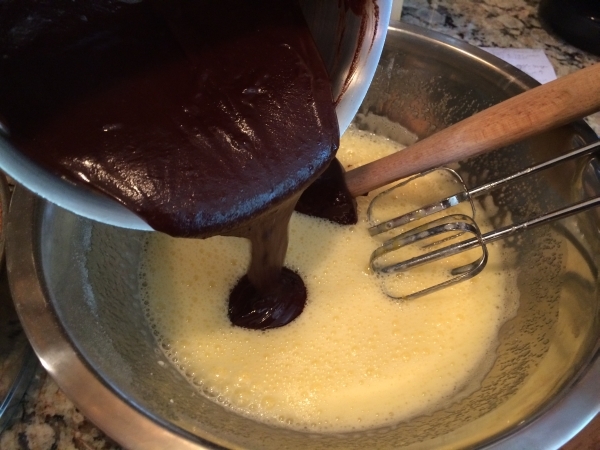 Don’t over mix. 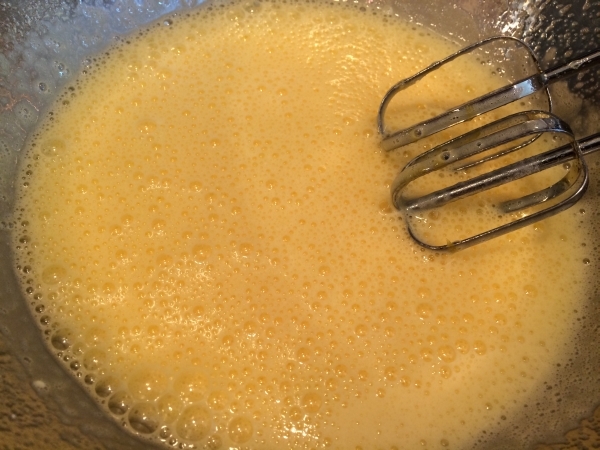 Batter will be thick. 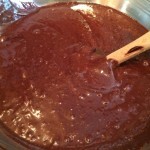 Add it to pan and bake for 35 to 40 minutes. 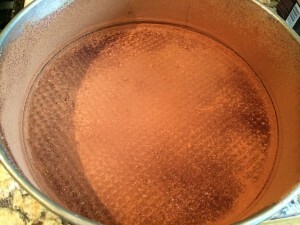 Allow to cool for at least an hour before removing the sides of the pan. 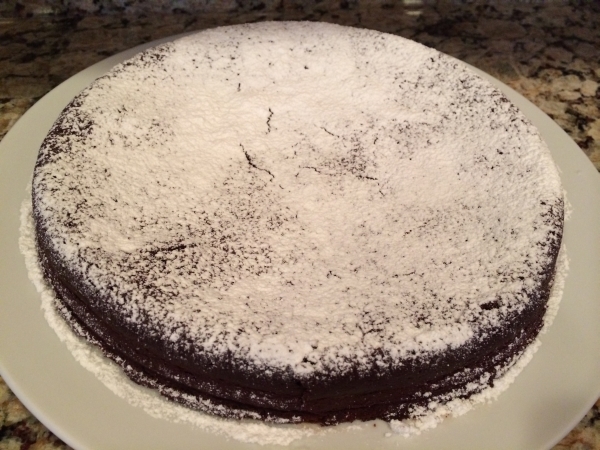 Once cool, sprinkle with powdered sugar. 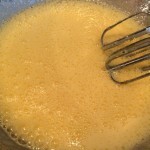 Beat the heavy whipping cream, powdered sugar and vanilla with and sour cream, until thick for a sweet and tangy topping!